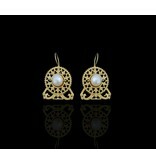 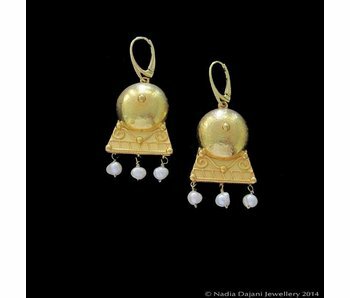 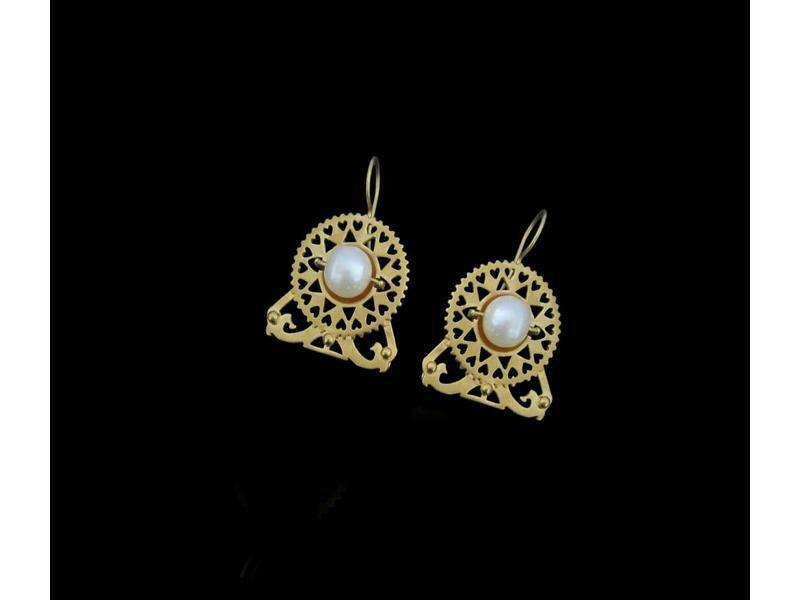 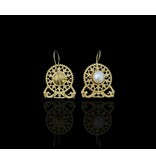 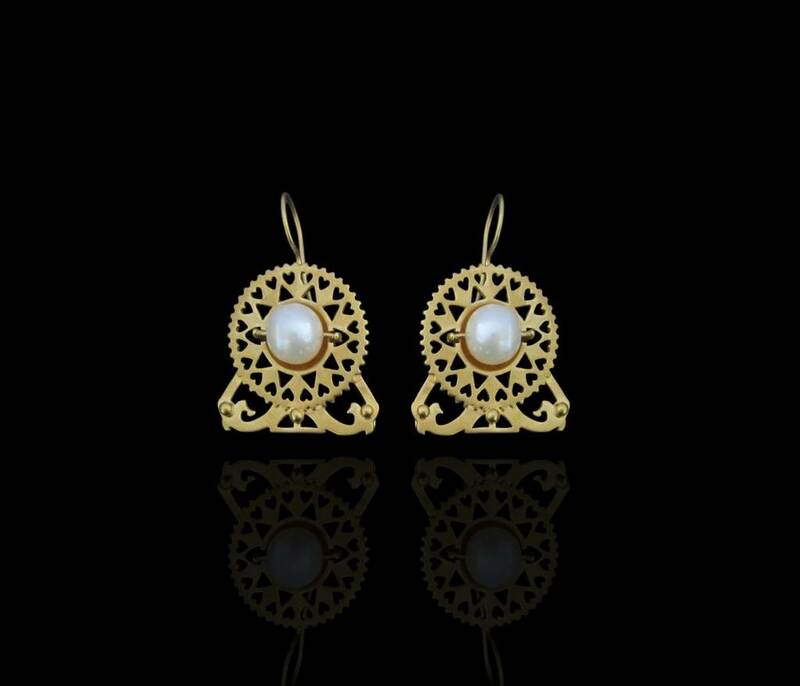 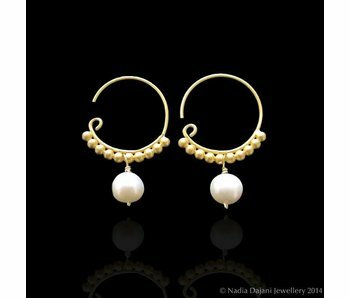 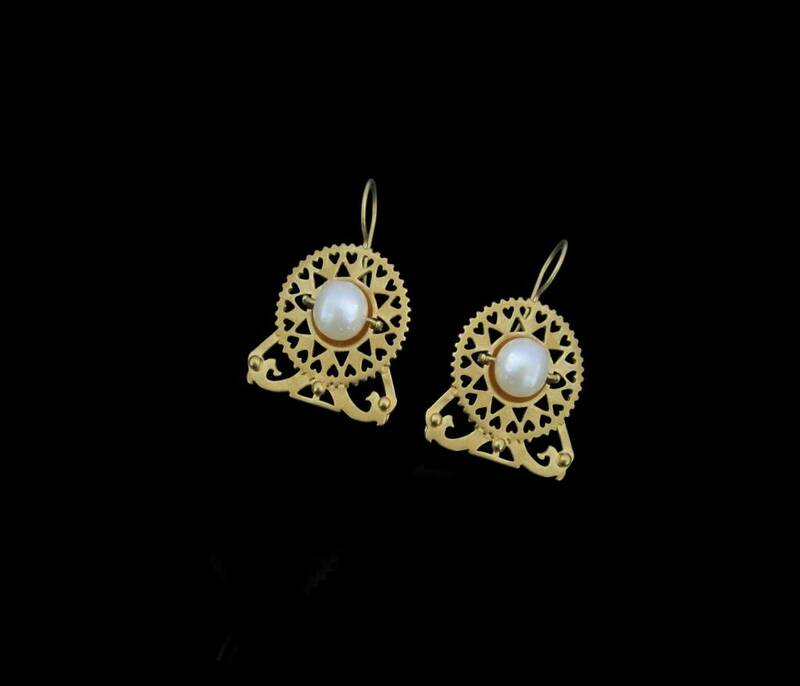 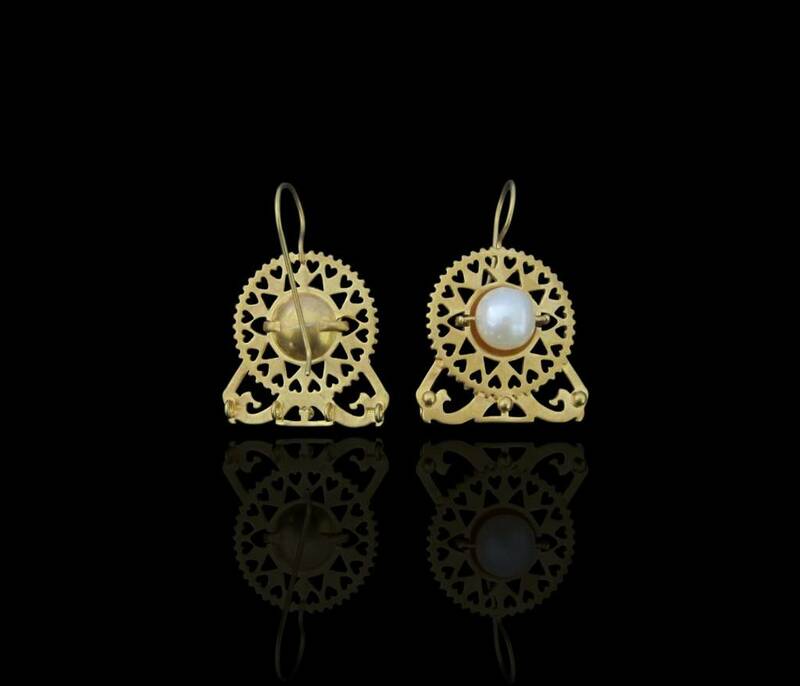 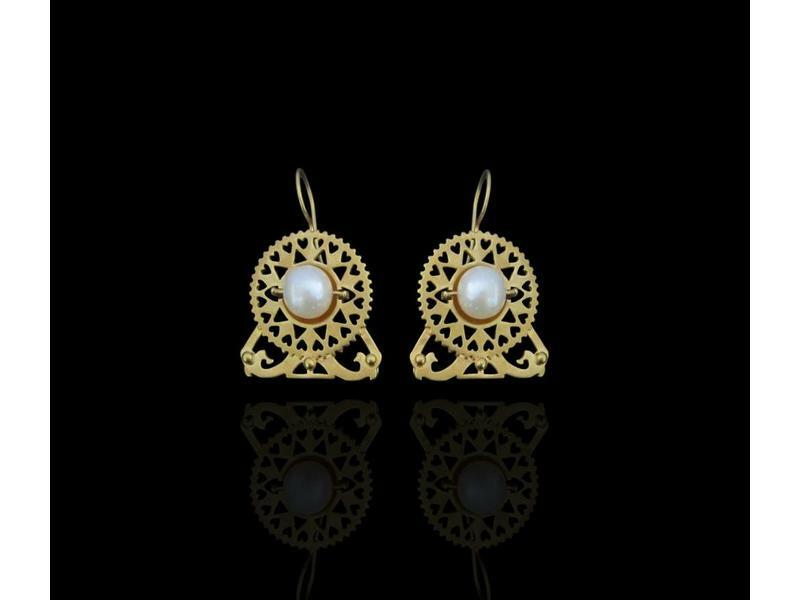 Replica of earrings found in the oval piazza in the historical Roman city of Jerash. 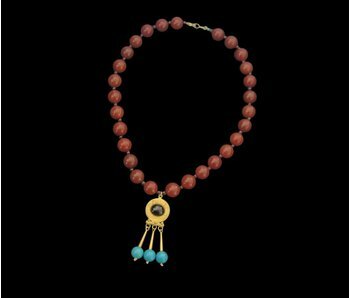 Gemstone necklace with a motif inspired by an artefact available at the Citadel Museum in Amman, found in the Roman city of Jerash, dating back to the 8th century AD. 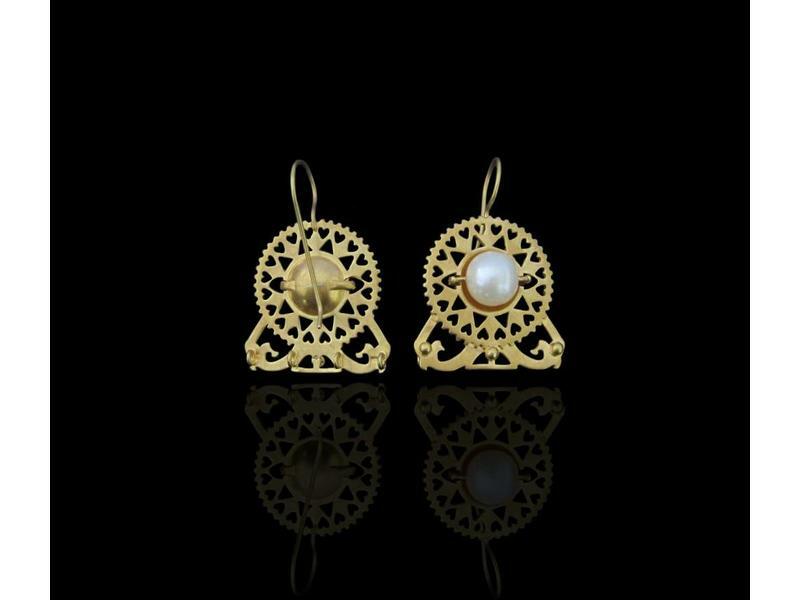 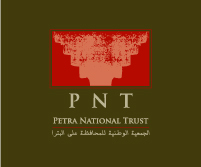 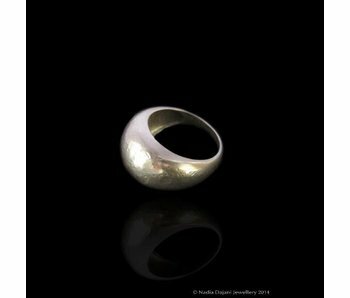 Motif has a garnet cabochon central stone.